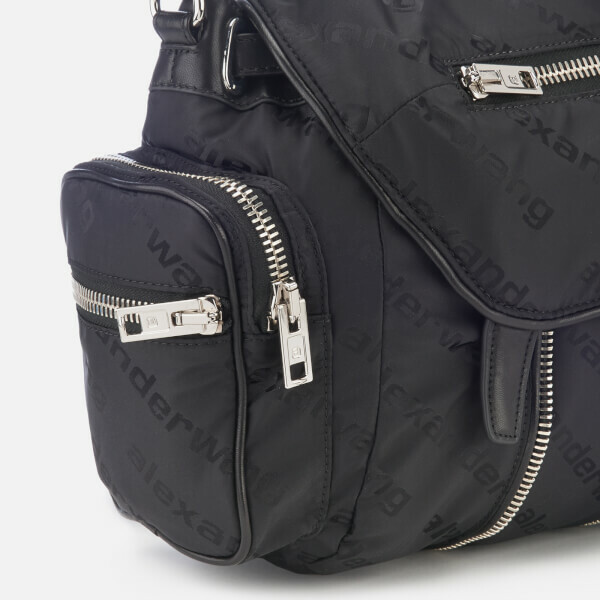 The ‘Mini Marti’ bag from Alexander Wang is presented in ultra-lightweight and durable nylon. 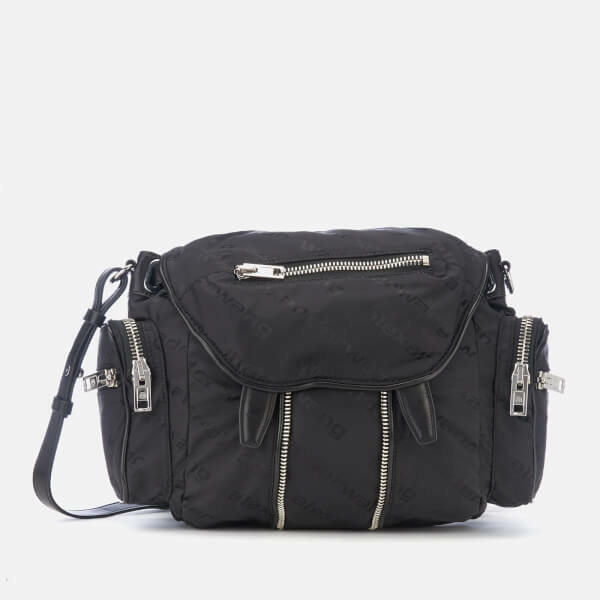 The black shoulder bag opens with a snap-buttoned flap to reveal a roomy interior secured with an adjustable belt. 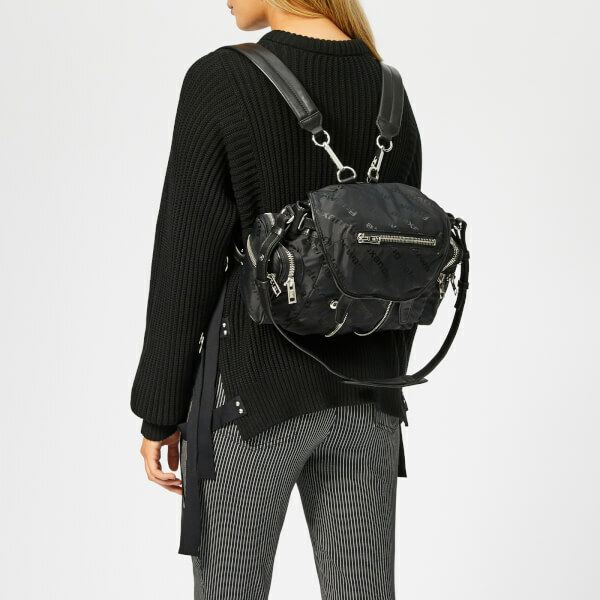 Inner and outer zipped pockets and an adjustable top handle both feature, while twin removable shoulder straps allow the bag to be worn as a backpack. 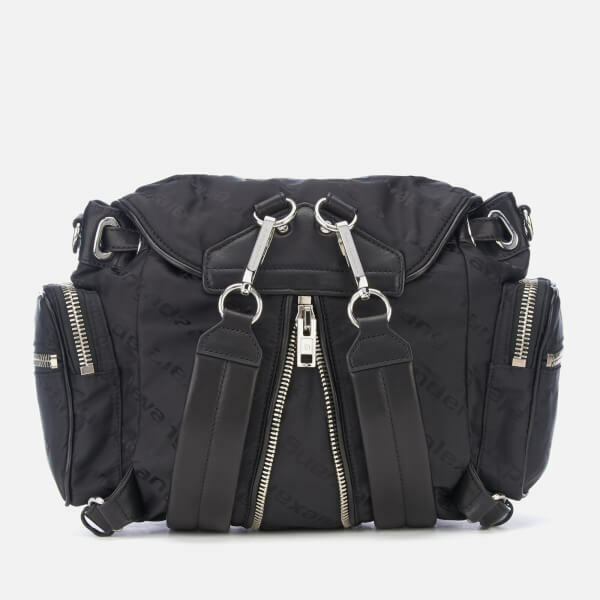 Decorative zip detail completes the design. Dimensions: H: 24cm x W: 31cm x D: 12cm. Strap Drop: 32cm.